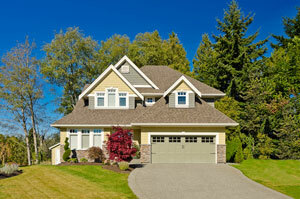 The garage door for your Louisville area residence should do more than simply provide an entry point to your home. It should also reflect your unique design sensibilities and give your home’s exterior a little something extra. When you turn to the experts at 31-W Insulation, designing your new garage door could be easier than you ever thought possible. Select a material – We offer garage doors made from a variety of materials, including durable multi-layer steel and gorgeous real wood. Pick a style – Whether your home is traditional or modern, we’re sure to have a style that perfectly complements your home’s architecture and suits your aesthetic preferences. Customize your design – You’ll have your choice of door color, hardware accessories, and decorative windows to help you make your new garage door unique. Of course, when you turn to 31-W Insulation for your new garage door, you’ll have a home improvement expert guiding you every step of the way. We’ll review your options with you and help you design a door that perfectly suits your unique tastes, meets your practical needs, and fits within your budgetary requirements. To learn more and to begin the process of designing a new garage door for your Louisville area home, contact 31-W Insulation today. We’ll gladly provide a complimentary estimate for a garage door, attic insulation, fireplace, shower enclosure, or just about any other type of home improvement product.